Curvy Girl Travels: 10 Plus Size Travel Bloggers You Should Follow! Have the travel bug? We do too! Have you been dying to take that trip across the globe, but are maybe feeling a little insecure about traveling while plus size? Join the club. It took some of us a while to build up my confidence about traveling. t Trust, we are definitely not completely worry free, but have come a long way. Guess what!? There are many plus size women that are pushing beyond stereotypes, collecting their passports stamps, and traveling everywhere they want to(! We created a list of a few of our favorite plus size travel bloggers to help inspire you to pack your bags and go! Make sure to click on the photos so that you can follow each of them for more travel tips, stories, and inspiration. So pack your bags girl, let’s go on that trip! Ever just want to curl up with a great book? We do too! So we decided to share a few of our favorite body positive books that you should definitely check out. Thirty-one already!? Seriously though, where has the year gone? Thirty was a big milestone for me. At the beginning of the year I told the universe that I was ready for change, and that I would allow myself to be more open to vulnerability. Well, change definitely happened. 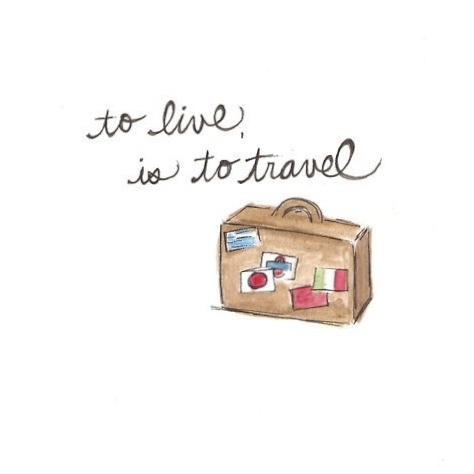 Have the travel bug? We do too! Have you been dying to take that trip across the globe, but are maybe feeling a little insecure about traveling while plus size? Have you showed yourself some lovin’ lately? We created a quick and easy self-care guide that everyone can benefit from! Yay! Let's indulge! Thank you for subscribing.